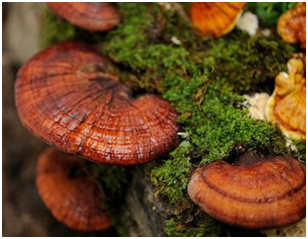 Product categories of Reishi Mushroom, we are specialized manufacturers from China, Reishi Mushroom, Raw Reishi Mushroom suppliers/factory, wholesale high-quality products of Organic Reishi Mushroom R & D and manufacturing, we have the perfect after-sales service and technical support. Look forward to your cooperation! Reishi Mushroom, also known as Ganoderma or Lingzhi, is a polypore mushroom that grows on wood in dark and moist environment. It usually consist of a rounded and soft mushroom cap and a long stem. The Ganoderma genus includes about 80 species. Among them, Ganoderma Lucidum, or red Reishi, is the most studied and used species. Ganoderma and its extensive use has been documented in many traditional Chinese medical literature for more than a thousand years due to the health benefits it has. In ancient China, because wild Ganoderma was very difficult to find, it was only served to the emperors. Therefore, it was also called [The Magic Herb". Nowadays, thanks to the development of modern cultivation and processing techniques, Ganoderma has become more available and more affordable to people. Many scientific researches have also been done on the potential health benefits of Reishi Mushroom. Studies have shown that Reishi Mushroom has multiple health benefits. It is effective in enhancing overall immunity, protecting the liver, and improving sleep quality. The main two active compounds are called Ganoderma polysaccharides and triterpenes. Ganoderma polysaccharides can activate human`s immune system, increasing the activity and number of immune cells. Triterpenes, on the other hand, can fight directly against pathogens and abnormal cells such as tumor cells. Therefore, Reishi Mushrooms is also good for assisting cancer treatment. Most people may think that wild Reishi Mushrooms are better than cultivated ones while in fact that is not the case. Since Reishi Mushrooms are a type of fungi, they acquire their food by absorbing dissolved molecules. Therefore, they are very likely to absorb pollutants into their tissues, including heavy metals such as mercury. That is also why many countries use mushrooms to clean up waterways and soil. However, since it is impossible to control and screen the source of every mushroom we collect, wild Reishi Mushrooms are very likely to have contaminants inside. Also, Reishi Mushrooms use their spores to spread and reproduce. As it reaches maturation phase, the spores will shoot out from tiny tubes underneath the cap. The spore powder is also where most of the nutrients of Reishi Mushroom are stored. In the wild, we cannot keep monitoring every growth stage of Reishi Mushroom, so most of the time the Reishi Mushrooms we collect do not have much spores left, which means they have much less nutritious value. Besides, there are other factors that may affect the quality of Reishi Mushrooms such as sunlight, humidity, parasites etc. GANOHERB on the other hand, has been focusing on growing Reishi Mushroom for 29 years. 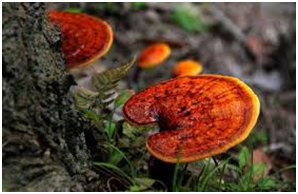 It has multiple self-built Ganoderma farms and therefore is able to control and monitor every step that may affect the quality of Reishi Mushroom, delivering the Reishi Mushroom with highest quality and safety. We strictly controls every single step of the cultivation process to ensure each step is ideal for the growth of Reishi Mushroom. GanoHerb has acquired 4 organic certifications from the EU, the US, Japan, and China. Our goal is to let the world share the traditional Chinese treasure.